Hartland Depot - 16x24 Oil on Canvas Framed. 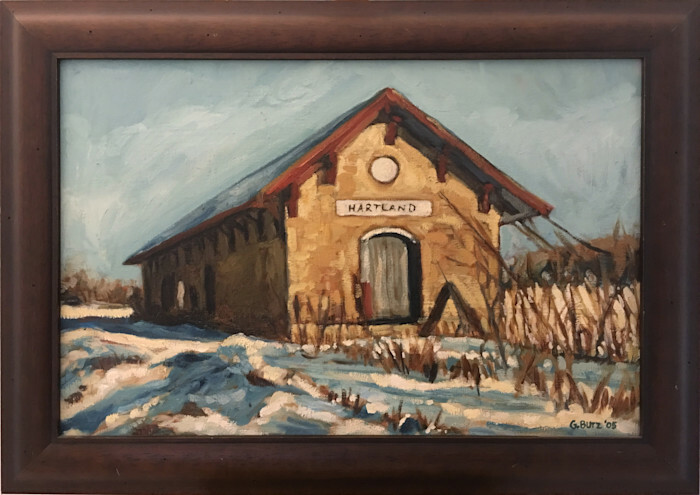 This is a old train depot in Hartland WI. The first winter that I was here in WI, I was capticated by this building, I really loved the perspective and composision of this structure. During the winter it is expecially beautiful with the snow and how it contrasts with the warm brick. Hartland Depot - 16x24 Oil on Canvas - Print. 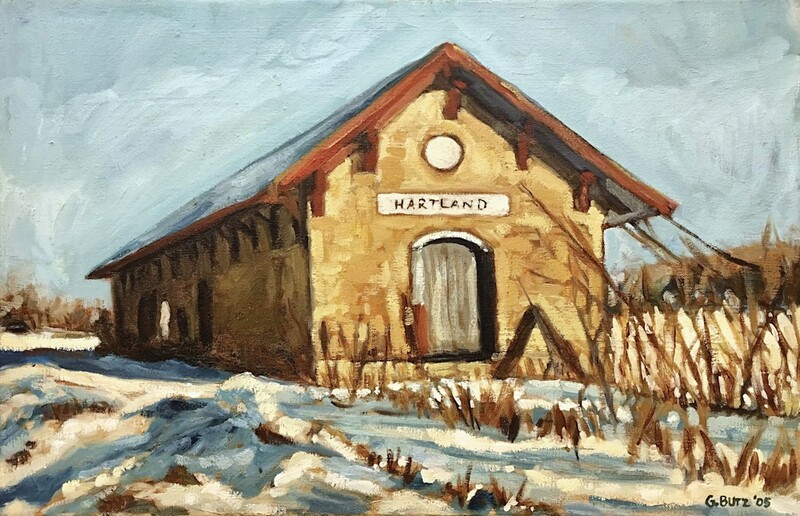 This is a old train depot in Hartland WI. The first winter that I was here in WI, I was capticated by this building, I really loved the perspective and composision of this structure. During the winter it is expecially beautiful with the snow and how it contrasts with the warm brick.